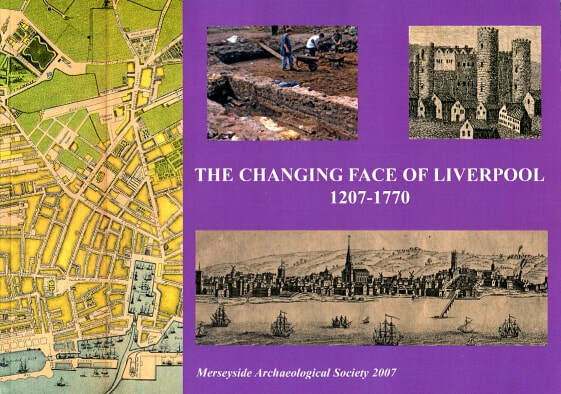 Merseyside Archaeological Society published The Changing Face of Liverpool, 1207 - 1770 in 2007 to celebrate Liverpool’s 800th birthday. It is a lavishly-illustrated account of the development of the historic core of the city based on archaeological and documentary sources. It costs £5 and can be bought from the Merseyside Maritime Museum, Liverpool World Museum and the Walker Art Gallery. You can order it by post from the Publications Secretary (£3 postage and packing).